Despite the fears brought on by Sci-Fi depictions of sentient killer robots, emotional AI continues to advance. As pointed out by Poppy Crum, machines can already tell the difference between a genuine smile and a fake one. Beyond current facial recognition systems, intelligent, emotional AI will soon be able to detect, recognize, and track your inner state. To avoid emotional recognition by an emotional AI, relax the muscles of your face. Focus on your eyes and your mouth. Let all emotion fade. Don’t avoid eye contact. In fact, seek it out. Just, don’t react to it. You are now holding a poker face. People try to hide their emotions for various reasons. Some do it unwittingly due to emotional abuse or compulsive behavior. Others use deception in a calculated manner to keep others at a distance. The expression “poker face” hints at a more utilitarian reason for emotional deception. The best poker players pay attention to the number of cards revealed on the table. Often, they have a decent idea of what possible cards their opponent could be holding. If the opponent shows excitement, dismay, or nervousness, that can help the player determine what cards he’s up against. While you can hide your true emotions, feelings, and thoughts from other people, soon you’ll not be able to fool machines. In the best-selling book Homo Deus, Yuval Noah Harari argues that the human brain is a suite of biological algorithms. Over millions of years, these algorithms were refined by natural selection. Yet, in just a few decades, AI algorithms have evolved rapidly and are near our level of intelligence. Thus, it follows that these inorganic systems will likely meet our level of intelligence and quickly surpass it. For now, these systems are still catching up. As you’re aware, facial recognition algorithms are used in law enforcement, biometric identification, date matching, and social media, just to name a few. However, these recognition systems aren’t yet tasked with reading emotion. Primarily, these recognition systems match nodal points of a target’s face to a library of possible matches. In the near future, this will change as artificial neural networks develop new capabilities. Much like these systems learn from thousands of images of human faces to distinguish differences and create matches for facial identification, they will soon begin studying the specific markers of human emotion. These will enable them to see behind the “poker face” to reveal the true emotional state. In a world overseen by emotional AI, you can still hide your true emotions by portraying a false mood or a neutral face. Yet, due to tiny markers in the face and biometrics like heart rate and muscle contraction, machines will not be fooled. Stanford University’s Poppy Crum, who’s Dolby Labs’ chief scientist, gave a TED Talk in Vancouver asserted that technology will soon make our ability to conceal our emotions “a thing of the past”. “We like to believe we have cognitive control over what someone else knows, sees, understands about our own internal states – our emotions, insecurities, bluffs or trials and tribulations. But technologies can already distinguish a real smile from a fake one,” said Crum. When we think of the future of AI, we often like to imagine sophisticated, autonomous, deadly robots. In our popular imagination, AIs are sentient and have a conscious. As our review of LOST IN SPACE mentions, we always expect AI and sentient robots will want to mimic our sense of empathy. But, why should we expect that at all? It is thanks to consciousness and emotional intelligence that humans have been able to evolve to our present day. These two factors appear must be essential for machines to play the role we expect, but it’s likely that they won’t use these skills as we do. Nevertheless, today, in the research lab, sentient AI is still too far away to speculate. It’s hard to reproduce our consciousness when we don’t understand how it works. We don’t know what “consciousness” is yet exactly, but the answer could help us build conscious and emotionally intelligent robots. 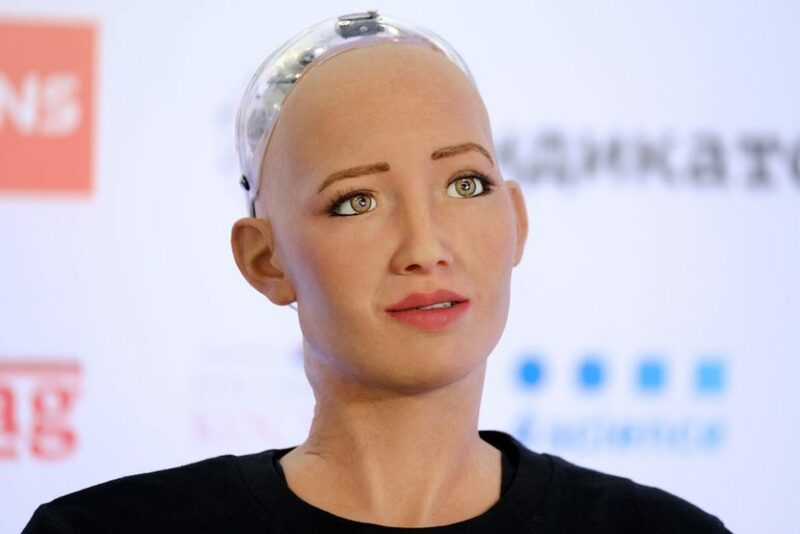 According to experts, robots must pass at least three stages of human consciousness en route to attain or exceed human-level sentience. While we don’t have sentient AI, we do have emotional AI so far as to say that machines can determine what emotions we might be feeling. They can also determine whether we are trying to hide an emotion. What are your ideal ethical guidelines for the evolution of machine intelligence?